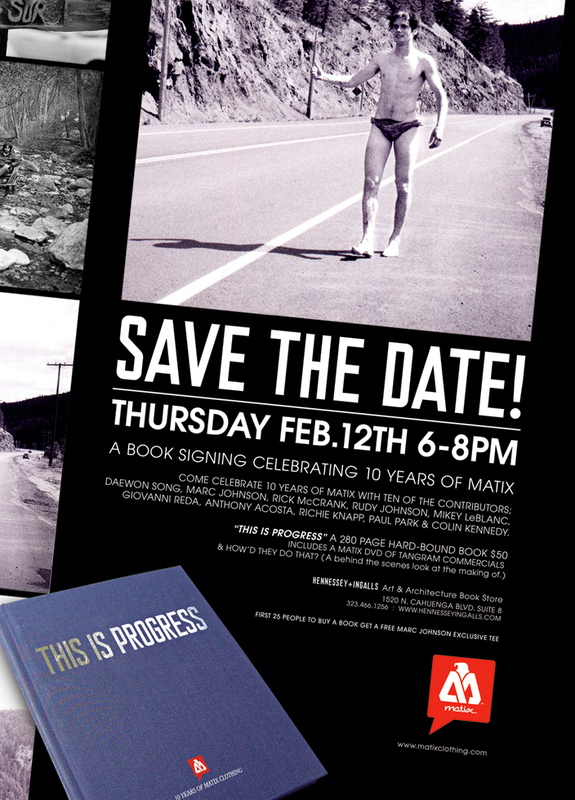 The 280-page hard-bound book titled “This Is Progress” goes for $50 and includes a Matix DVD of “Tangram Commercials” and “How’d They Do That,” a behind the scenes look at the making of. Peep the flyer for more info! This entry was posted in Uncategorized and tagged at Hennessey & Ingalls, book signing, daewon song, marc johnson, matix, Rick McCrank, Skateboarding, skateboarding books, Torrance on January 26, 2009 by Sandra Burciaga Olinger.